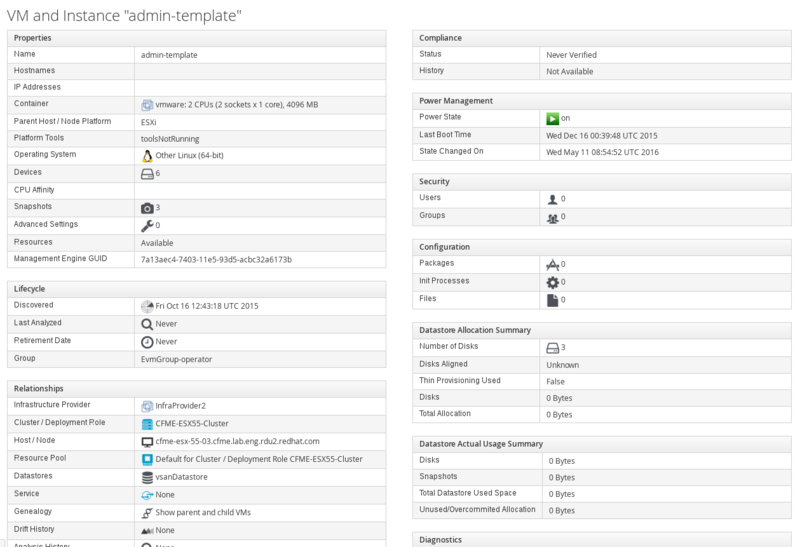 Textual summaries display details about a selected entity (such as VM, Host, Network, Cluster, Container etc.) and also related entities (Snapshots for VM, Hardware for Host etc.). Textual summaries consist of groups of related information and each group consist of properties. Definition of each group can found in modules named according to scheme XxxHelper::TextualSummary in app/helpers/*_helper/textual_summary.rb. The group definition consists of a formatter – TextualGroup, a label and a list of properties. Other formatters include TextualMultilabel and TextualTags.